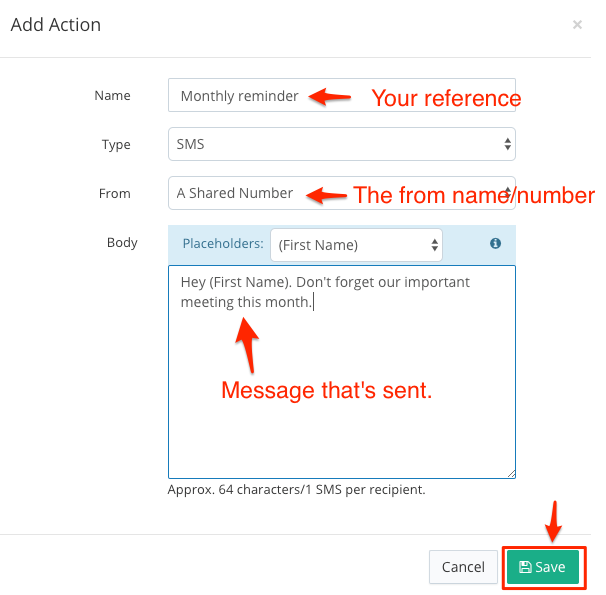 Using the ClickSend Time-based automations, you can send a recurring message to a contact list. Open the Time Based Automations screen on the dashboard here. Click on + Add Action. This will be what is sent when the automation is triggered.